The story of The Bear evolved on a camping trip a number of years(24) ago. I had stayed in camp with my oldest grandson (4 years old), while the others were scouting the area. He had been whittling with a small pocket knife while he chatted with me about things he had on his mind. He accidently cut himself. Next, we were on our way to emergency care for him. So I decided to tell him a story (about a bear) to help in keeping his attention from the pain. 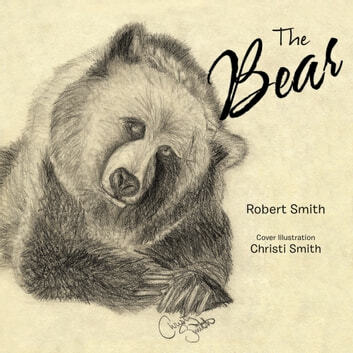 Over the years weve completed the story of THE BEAR!